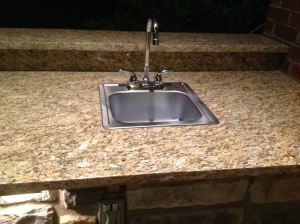 There are many options for features for your outdoor kitchen. 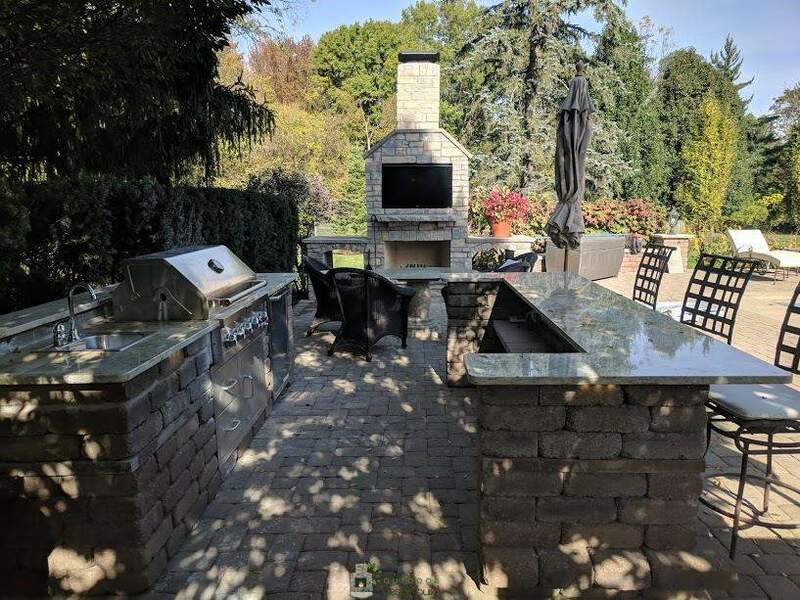 An outdoor kitchen is a large project and commitment, so it is good to have an idea of what you want before getting a design. Before you begin the process, take a look at these different features and get some great outdoor kitchen ideas. A Fridge is an excellent feature to have for your outdoor kitchen. You can keep your grilling meats out of the sun and away from bugs and other elements as you are preparing your meals. You can also keep ingredients and beverages there to conserve space and keep them cool. A fridge is a game-changer for your outdoor kitchen. 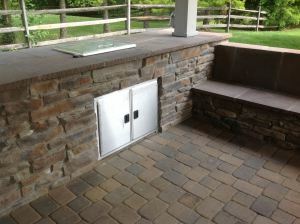 We love to add storage space to our outdoor kitchens. 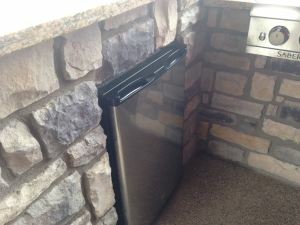 When you are grilling out or entertaining, you can save a lot of time and frustration by putting what you need in those areas instead of running back in the house and stealing from the kitchen cabinets. Extra storage space built-in will make your outdoor kitchen more organized. 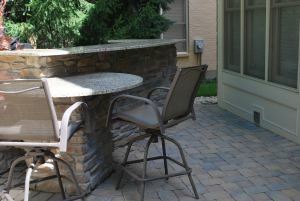 Plan ahead and design a table into your outdoor kitchen. Why go back in after your prepare your meal? Having a table built-in will encourage guests to enjoy the outdoor air and make your outdoor grilling even more practical. A table is an inviting addition to your outdoor kitchen design. 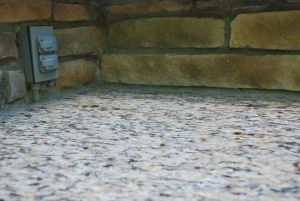 An electrical outlet is a small but essential feature to any outdoor kitchen. Whether you want to blend a drink or charge a device it helps to know you have an outlet close by. An electrical outlet is small feature, but can make entertaining much easier. A sink can also make grilling much more efficient. Save energy and time by doing your cleaning right next to the grill and not running back in the house. A sink will make you outdoor grilling more efficient. This outdoor kitchen was built with a roof extension and recessed lighting. A roof will allow you to enjoy your kitchen longer throughout the year and the lights make your outdoor kitchen much more practical for evening meals, entertaining or a late night snack. 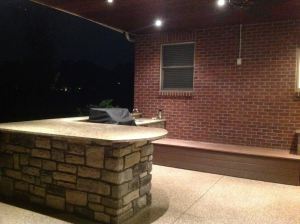 Add a roof and/or lighting for your outdoor kitchen. What features did you include in your design? Share your thoughts. Have you found any features you can’t do without?